GotToLove♥: Power of the Pastel Dresses. After doing my 'War of the White Dresses' post, I thought it would be a good idea to do a trilogy featuring different trends for dresses during the Spring. No Spring would be complete without pastel dresses, I have to slap on some fake tan every time though, as pastel colours can really wash me out. I feel like the pastel trend isn't around quite as much as last year, but it'll always be a Spring must. Now this dress, kills to trends at once! Pinafores are having a massive come back this Spring, and I can not wait to get my hands on some! 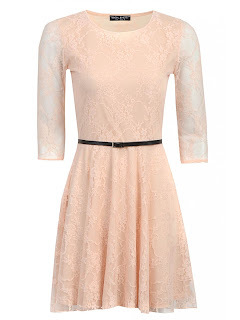 This pastel sort-of peach colour just looks so cute with the already cute pinafore style. The only thing I would be worried about is that this could be seen as quite a childish colour, so with the pinafore as well, I could end up looking like a little kid! But adding some fierceness to it with a leather jacket would get rid of this problem. Check this out at New Look. I love lace, especially when the sleeves are sheer. 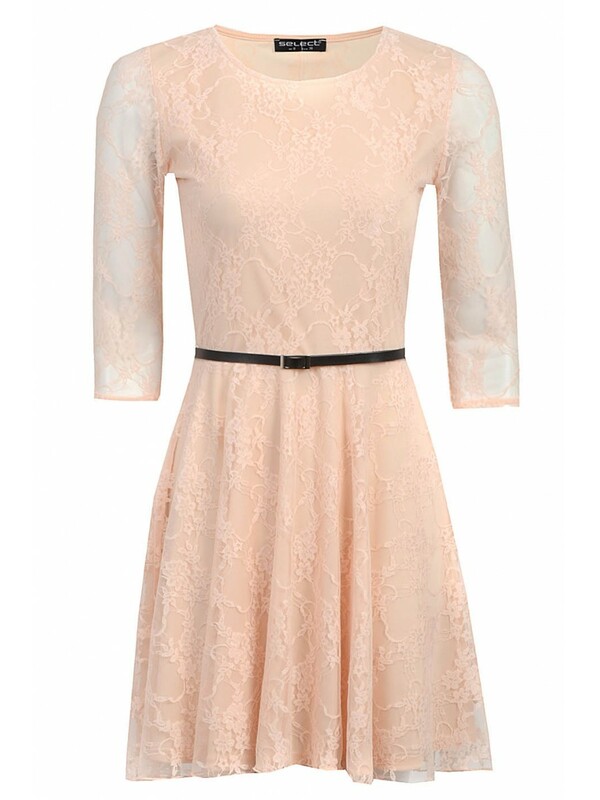 This beautiful salmon colour looks so good with the delicate lace, and the black belt splits up the paleness of the dress. I personally could not pull this off as there is not enough warmth in the colour for it to work with my skin tone. This is from Select for only £16. This dress is so pretty, it's by far by favourite pastel colour. I have quite a few skater dresses, but this has the nicest shape to it that I have seen! Also the colour of it is just beautiful, mint is such a lovely colour. For the summer, with a black waist belt and some heeled black sandals, you have the perfect outfit. You can grab this dress from Missguided. I think this dress counts as pastel doesn't it?! I don't even care though as I have to include it! Midi dresses are just incredible, I just don't think that I would be able to pull it off so I'm so short, but I'm definitely going to try it out. But anyway, this print is so beautiful and will really accentuate your hips. As it's from River Island it's a little pricey but it's so gorgeous who cares about the price! As some of you probably know, Prom season is coming up so when I saw this gorgeous I thought I should show you. This is amazing, the lilac contrasted with the metallic belt just makes the colour pop. Going through the whole Prom process myself I know it can be expensive but this dress being so beautiful and for only £44.99 is a bargain for a prom dress! 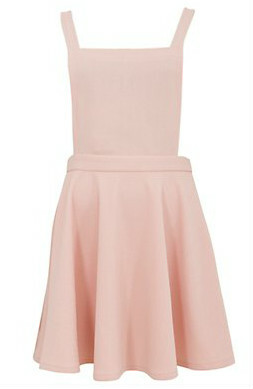 This could even be worn to a garden party and you'd be the centre of attention, you can get this from Missguided. 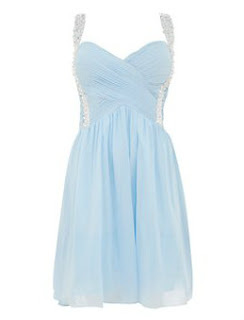 Sticking withthe prom theme, if you fancied going for a short dress, this is just as nice as the previous one. The silver embellishment on the waist to the shoulders so just so lovely against the aqua blue. Pairing this with silver accessories would complete the outfit and be perfect for prom. Again at just a fraction of the price of non-highstreet dresses, New Look have done well. Hope you enjoyed this, stay tuned to see some Neon themed dresses, becciixx.